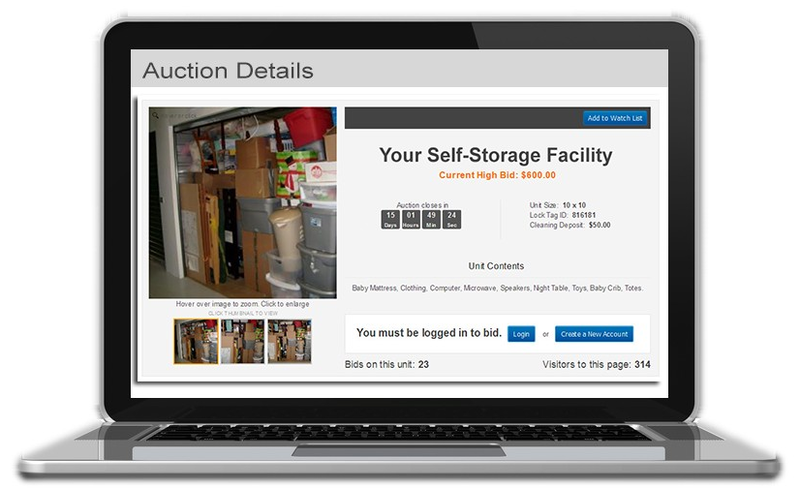 Online Storage Auctions – OpenTech Alliance, Inc. Millions of people attend online and onsite auctions every day. StorageTreasures.com brings those people to your door step so you can recoup the highest possible amount for your delinquent tenants. OpenTech is now a majority investor in StorageTreasures, and has taken over management of the largest online self-storage auction platform in the world (more). StorageTreasures.com offers benefits to self storage operators regardless of how the run their auctions – onsite, online or both. Online Auctions: StorageTreasures proudly services over 6,500 self-storage facilities, and supports over 900,000 registered bidders. Since 2011, over 300,000 online auctions have been conducted safely and securely through the StorageTreasures online platform. Onsite Auctions: StorageTreasures also supports professional auctioneers and appraisers by offering the world’s largest listing of onsite auction schedules available on the internet. StorageTreasures.com has appeared on A&E’s Storage Wars, Fox11 News Los Angeles, ABC 6 Philadelphia. StorageTreasures is designed to attract professional Treasure Hunters and educate beginners through training videos created by Storage Wars experts. It is very easy for them to setup their own member account and start bidding. They can locate storage auctions by selecting a City and State or a specified mile radius from your location. They can also just enter the name of a specific facility and immediately find all the auctions for that facility. Filters allow StorageTreasures members to target their searches by unit size, contents or the number of units up for auction. Alert settings notify members if an auction schedule changes and inform users when auctions are scheduled at their favorite facilities. Members can set favorites for the storage facilities they visit often or the ones close to home. StorageTreasures is truly the ultimate resource for auction buyers, storage facilities and auctioneers. and auctions to raise money to benefit their local community. StorageTreasures can make auctions easy.